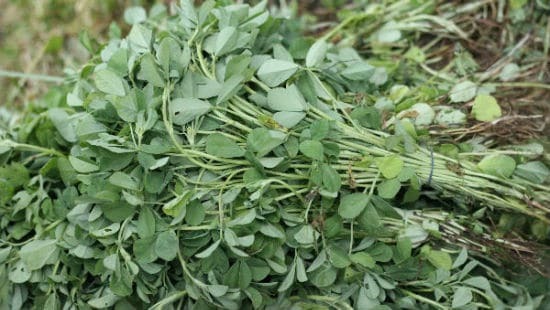 Home » Natural Ingredients » What Is Fenugreek? Fenugreek is one of the oldest roots out there, first being referred to on Egyptian papyrus from 1500 B.C. You can almost bet that this herb was used by ancient royalty, and the fact that we still use it today attests to its effectiveness. Fenugreek is typically attributed to being majorly cultivated in India, where it’s still in production today and grows annually. You can also find Fenugreek in Egypt, France, Spain, and Morocco. You’ll be able to tell where it’s growing by the strong, syrupy smell. Fenugreek is a member of the legume family with the plant growing three feet high with pale yellow flower clusters. So what do we use Fenugreek for today? The uses go all over the health map, from helping ease kidney issues, to smoothing chapped lips, and even a natural alternative to cancer treatment. Midwives also recommend the herb for new mothers, to induce childbirth and to jumpstart milk production for the new baby. Women aren’t the only ones who can benefit from this plant based medicine. Men have used it to combat hernias and erectile dysfunction, and even heart health—like high cholesterol and blood pressure. There have been several studies by researchers that have found a strong association between taking Fenugreek and lower blood sugar levels for those who suffer with diabetes. This obviously doesn’t mean it’s recommended to all diabetic patients, but it’s a nice, natural alternative to test out. Digestive issues have been the biggest ones that have been aided by using Fenugreek. Those who experience upset stomach, gas, or constipation have reported relief when taking the herb. 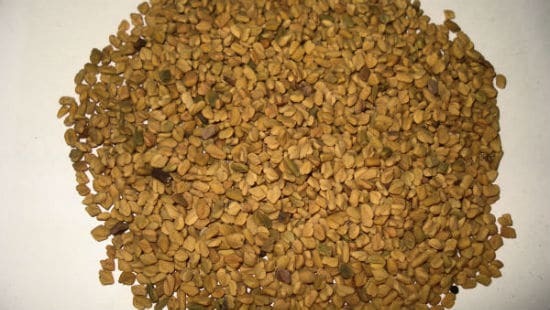 Bust Bunny provides Fenugreek in our supplement due to its many benefits. Get 10% off your order today using coupon code “fenugreek” or CLICK HERE to have it instantly applied. Where Can You Find Fenugreek Now? Markets sell Fenugreek in powder form, including an organic baking and cooking version. You can also buy a container in the seasoning aisle to add to your dishes, or the supplement to support overall wellness through phytonutrients. Capsules come in upward of 600mg, and Fenugreek seeds come in bag of about 8 to 16 ounces. Before taking Fenugreek in supplement form, it would be wise to consult your physician. The herb is considered a plant-based estrogen, so while it’s relatively safe, it could affect any hormone-related conditions or medications you’re already taking. 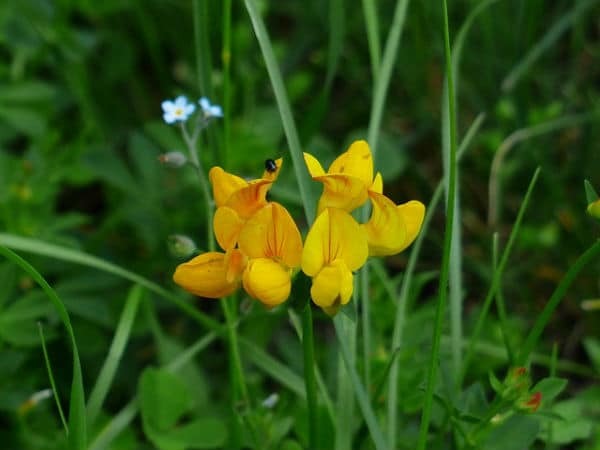 What are the Side Effects of Taking Fenugreek? Fenugreek is a very safe herb to take. Side effects are usually seen in hypersensitive people who have allergic reactions to it. These reactions can be nasal congestion and coughing, but most people will only experience slight discomfort in the stomach region, if anything at all. Because Fenugreek is sometimes used to lower blood sugar levels, diabetics should talk to their doctor before taking it, so they can plan to monitor their levels. You can safely take Fenugreek for up to 6 months. How does Fenugreek make breasts bigger? Noted as a breast milk producing herb, or a galactagogue, Fenugreek has a strong association with breast growth. Being a plant-based estrogen, the herb enhances breasts similar to fennel seed and flaxseed. Those who enjoy maple syrup will definitely enjoy cooking with Fenugreek, and those who want bigger breasts and lower blood sugar levels will benefit from taking it. Bust Bunnys only chooses safe and effective herbs to help breast enhancement, and this is one of the best to choose from. 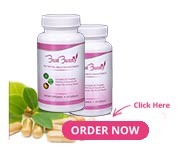 With Fenugreek being an ingredient in Bust Bunny Breast Enlargement capsules, most women will see a noticeable change in their bust size. The herb is all natural, and is considered safe by the FDA (it is listed on their Generally Regarded as Safe list, or GRA). Fenugreek has been used to assist women for many years, and will aid in your breast growth journey. Start your breast enhancement journey today with 10% off using coupon code “fenugreek” or CLICK HERE to have it instantly applied.